I know I missed the deadline for the whole Teacher Appreciation week on this project but since the end of the school year is coming up, I’m sure that teacher gifts are still a hot topic! 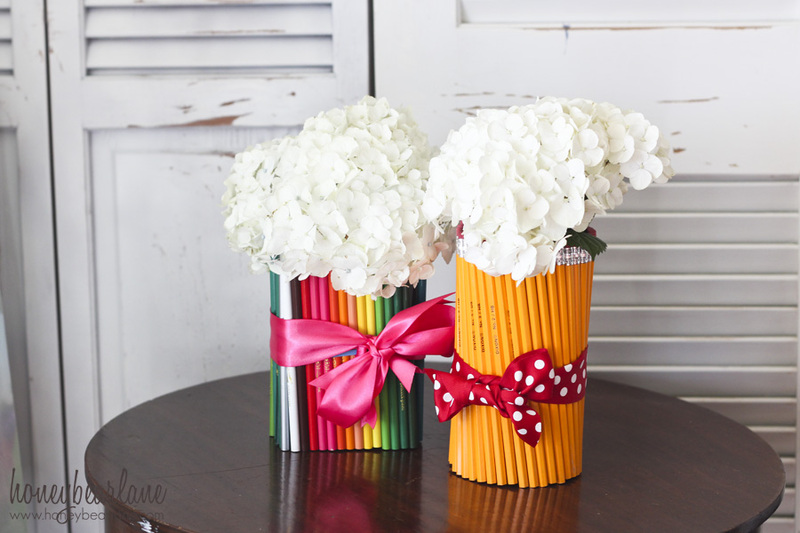 These pencil vases were SUPER easy and quick to make, very inexpensive and versatile. 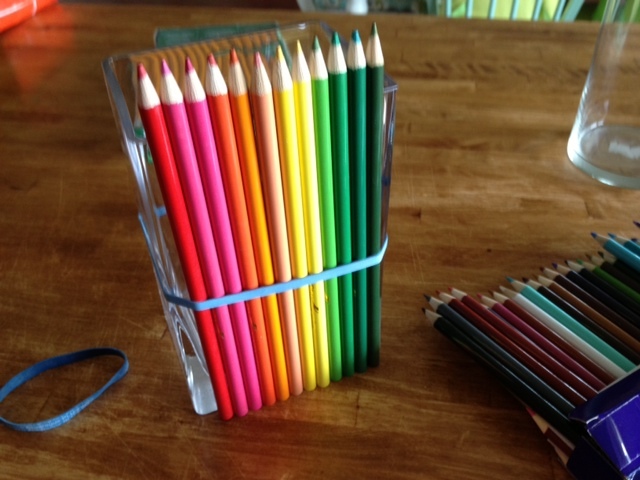 Anyone can whip these out and you can use anything you have–pencils, colored pencils, pens, markers, crayons. 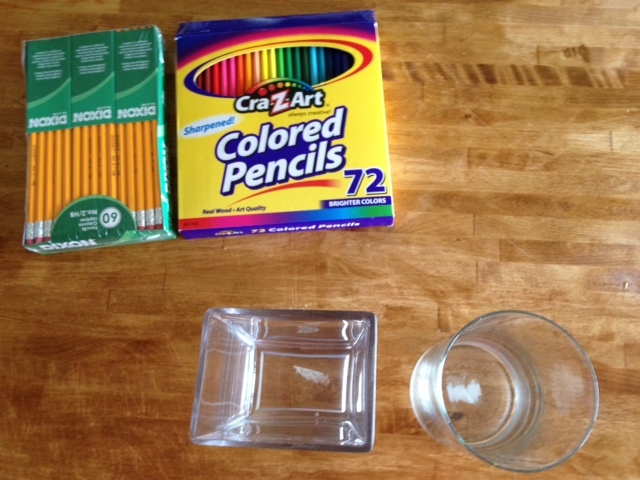 Writing utensils–pencils, crayons, markers, etc. You will need quite a few so get the big pack of 72. 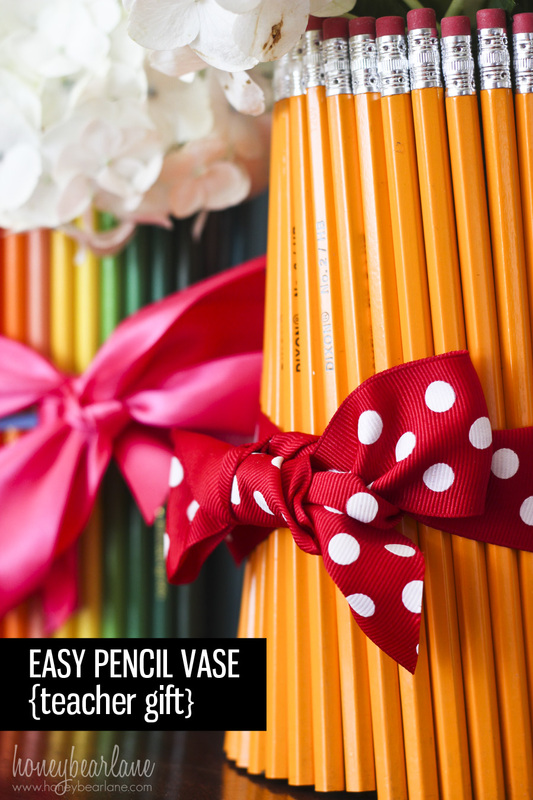 First get your vase and put the rubber band around it. 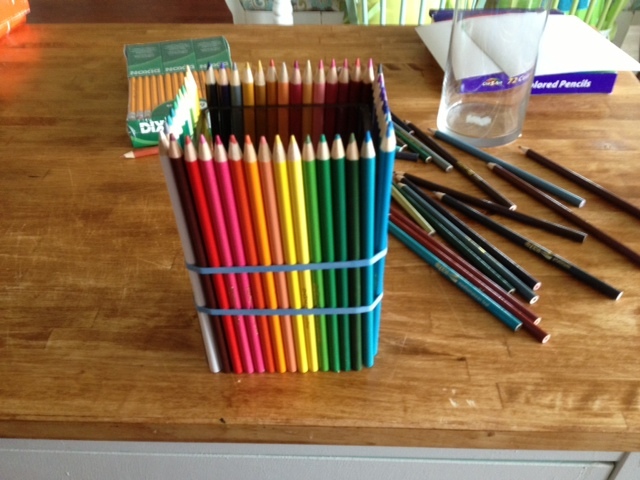 Slip in your pencils. 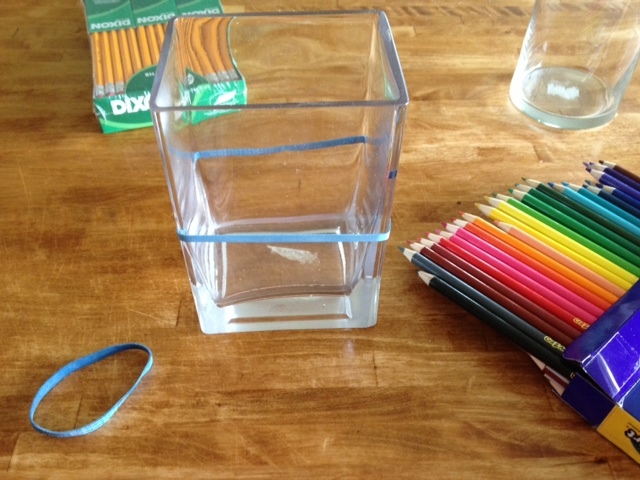 This was a little tricky with the square vase because the corners, but not impossible. The round vase is much more fluid though. But I just used what I had. 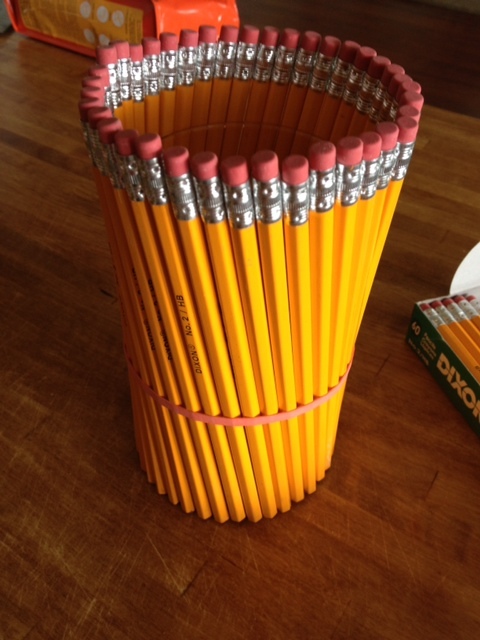 Fill in with pencils until there are no spaces. Then tie a ribbon around it. Done. See? I told you it was E-A-S-Y. Teachers are amazing so make sure you don’t forget to reward them for all their hard work this year with some fun teacher gifts!